The Harvard Club of Sacramento intentionally has no dues. We believe that all alumni should be able to take part in all of our activities. To maintain a no-dues status, we depend on donations from our alumni. Whether it's $10 or $100, your donation helps to fund club operations, such as bringing Harvard faculty from Cambridge to Sacramento to share their cutting-edge research. 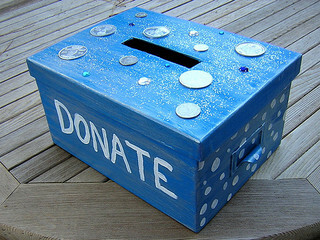 Donations also help us maintain our website and bank account. They are tax-deductible. Please use our Paypal link or mail your check to our treasurer at the address below.